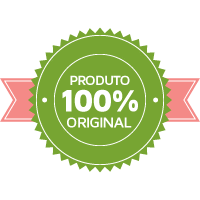 Aqua, Disodium EDTA, Glycerin, Cetearyl Alcohol, Cetrimonium Chloride, Cetyl Alcohol, Cetyl Lactate, BHT, Behenamidopropyl Dimethylamine, Hydrolyzed Collagen, Panthenyl Hydroxypropyl Steardimonium Chloride, Water (and) Wheat Amino Acids (and) Soy Amino Acids (and) Arginine (and) Serine (and) Threonine, BisHydroxy/MethoxyAmodimethicone, Amodimethicone (and) Cetrimonium Chloride (and) Trideceth-12, Cetyl Lactate, Grape Seed Oil Dimethiconol (and) TEA-Doodecylbenzenesulfonate, Methylchloroisothiazolinone (and) Methylisothiazolinone, Aqua (and) Parfum, Lactic Acid. 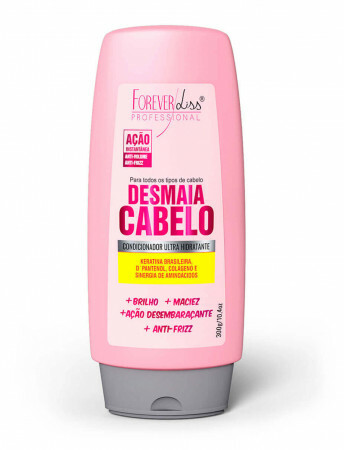 Após o uso do Shampoo Desmaia Cabelo. Aplique o Condicionador Desmaia Cabelo nos cabelos molhados, massageando-os. Deixe agir por 2 minutos. Enxague completamente, retire o excesso de água. Deixe secar naturalmente ou se preferir secar os fios com ondas de calor (secador ou prancha).